American weapons have a bad habit of going AWOL. Afghanistan: Upward of 40 percent of the 475,000 U.S. weapons given to the Afghan army and police cant be traced, according to the Special Inspector General for Afghanistan Reconstruction. Libya: Guns sent from Qatar to Libya as part of a White House approved deal in 2011 eventually went to Islamic militants, the New York Times reported. Somalia: According to the United Nations, as much as half of the U.S.-supplied arms given to Uganda and Burundi to fight al-Shabaab have been sold off by underpaid troops  and ended up with the Somali militants. Iraq: As much as 30 percent of the weapons the United States distributed to lraqi forces between 2004 and early 2007 have never been accounted for. More recently, U.S.-supplied weapons have found their way to ISIS and Iranian-backed Shiite militias. The U.S. Air Force destroyed 16 unused transport planes that were languishing in the weeds of Kabul International Airport, selling the scrap for 6 cents a pound, or $32,000, according to a government watchdog. The service had spent at least $486 million for 20 refurbished Italian-made G222 twin-turboprop aircraft for Afghanistans air force, only to abandon them, citing persistent maintenance issues. The Special Inspector General for Afghanistan Reconstruction John Sopko said in an October 3 letter to Air Force Secretary Deborah James that he was opening an inquiry and asked for documents on the process leading to the planes being towed to the far side of the airport and scrapped by the Defense Logistics Agency. An Afghan construction company paid for the scrap, and four additional G222s were at Ramstein Air Base in Germany awaiting disposition, Sopko wrote. The G222 program was ended in March 2013 after experiencing continuous and severe operational difficulties, Sopko wrote in a separate letter to Defense Secretary Chuck Hagel. The refurbished G222s from Rome-based Finmeccanica SpAs Alenia Aermacchi North America unit no longer could be flown after logging 200 of 4,500 hours of U.S.-led training flights and missions required under a U.S Air Force contract. The G222 transport planes were supposed to make up about 15 percent of the 105-aircraft Afghan Air Force. They are being replaced by C-130H transports from Bethesda, Maryland-based Lockheed Martin Corp., the biggest U.S. defense contractor.
. As of May 30, 2014, only 40,690 (23 percent) of the total pieces of equipment and $191.1 million (44 percent) of the total dollar amount have been recovered, the IG report said. BOSNIA  In the wake of the worst floods to hit the Balkans in more than a century, authorities are warning that many of the more than 120,000 landmines remaining from the 1992-95 war that killed 100,000 people have been dislodged by heavy rain, floodwaters and hundreds of landslides. An amount of rain that would normally fall in three months fell in three days, feeding the most intense flooding the region has seen since records began to be kept 120 years ago. Landslides swept away homes and turned idyllic hillside communities into cascades of muck and debris. Farm fields were washed away, coal mines flooded, bridges knocked from their moorings and sent floating down swollen rivers like barges. More than 100,000 houses have been rendered unusable. Beyond the lack of shelter, clean water and food, there is also the horrifying knowledge that thousands of landmines left over from the war have been swept up in the floods. It took a decade to reduce the number of mines from 2 million to 120,000, which were spread over 460 square miles. Now, the painstaking work of locating and marking the minefields with yellow tape and 25,000 skull-and-crossbone signs warning locals of their presence has been undone. The head of Bosnias Mine Action Centre (MAC), Sasa Obradovic, said, There have been a number of reports that mines resurfaced after the flood and that landslides have moved whole minefields and markings. He has appealed for international help in getting more equipment and satellite screening to track the movement of mines so they can warn people in time. Bearing in mind that the impoverished population in rural areas relies on logging as the only source of income, theres a big risk of new incidents [of landmine accidents] after such rainfall, Obradovic said. After the floodwaters have subsided, MAC representatives will meet with their counterparts in Serbia and Croatia to form a region-wide plan of attack for the dangerous period of recovery. When people return home, they shouldnt hurry to clean up their houses which now could contain unexploded landmines. It is estimated that 1,800 Bosnians have been killed by mines since the end of the Balkans war. Only a lengthy and highly dangerous operation will save even more people from that conflicts deadly legacy. Photo caption: Mikhail Kalashnikov and the AK-47 assault rifle he designed. MOSCOW  Mikhail Kalashnikov, whose work as a weapons designer for the Soviet Union is immortalized in the name of the worlds most popular firearm  the AK-47 assault rifle, died December 23 at the age of 94. The AK-47  Automatic Kalashnikov and the year 1947 that it went into production  is favored by guerrillas, terrorists and the soldiers of many armies. An estimated 100 million of the guns are spread worldwide. Although it isnt especially accurate, its ruggedness and simplicity are exemplary: it performs in sandy or wet conditions that jam more sophisticated weapons such as the U.S. M-16. During the Vietnam war, American soldiers would throw away their M-16s to grab AK-47s and bullets for it from dead Vietnamese soldiers, Kalashnikov said in July 2007 at a ceremony marking the weapons 60th anniversary. Its suitability for jungle and desert fighting made it ideal for Third World insurgents backed by the Soviet Union, and Moscow not only distributed the AK-47 widely but also licensed its production in some 30 other countries. Kalashnikov was born into a peasant family in Siberia, began his working life as a railroad clerk, and aspired to design farm equipment. After he joined the Red Army in 1938, he began to show mechanical flair by inventing several modifications for Soviet tanks. The moment that firmly set his course was in the 1941 battle of Bryansk against Nazi forces, when a shell hit his tank. Recovering from wounds in the hospital, Kalashnikov brooded about the superior automatic rifles hed seen the Nazis use. His rough ideas and revisions bore fruit five years later. Even though his most famous invention sowed havoc instead of crops, he often said he felt personally untroubled by his contribution to bloodshed. He created the weapon to protect his country and couldnt be blamed for other peoples actions. I sleep well. Its the politicians who are to blame for failing to come to an agreement and resorting to violence, he said in 2007. However, in April before his death, Kalashnikov reportedly wrote a regretful letter to Patriarch Kirill, head of the Russian Orthodox Church, asking if he was to blame for the deaths of those killed by the guns he designed. The pain in my soul is unbearable. I keep asking myself the same unsolvable question: If my assault rifle took peoples lives, that means that I, Mikhail Kalashnikov, ... am responsible for peoples deaths, he said in the letter. The longer I live, the more often that question gets into my brain, the deeper I go in my thoughts and guesses about why the Almighty allowed humans to have devilish desires of envy, greed and aggression, he continued. The church sought to comfort him with exactly the same argument he used to justify himself. The newspaper Izvestia quoted Kirill's spokesman Alexander Volkov as saying the Patriarch responded to Kalashnikov and praised him as a true patriot. If the weapon is used to defend the Motherland, the Church supports both its creators and the servicemen using it, the newspaper quoted Volkov as saying. Kalashnikov died in a hospital in Izhevsk, 700 miles east of Moscow, the capital of the Udmurtia republic where he lived. He had been hospitalized for a month with unspecified health problems. The horror of Boston should be a reminder that the choice of weaponry can be in itself an act of evil. Boston Bombs Were Loaded to Maim is the way The New York Times defined the hideousness of the weapons used, and President Obama made clear that anytime bombs are used to target innocent civilians, it is an act of terror. But are we as a society prepared to be judged by that standard? The presidents deployment of drones that all too often treat innocent civilians as collateral damage comes quickly to mind. It should also be pointed out that the U.S. still maintains a nuclear arsenal and, as our killing and wounding hundreds of thousands of innocent Japanese demonstrated, those weapons are inherently, by the presidents definition, weapons of terror. But it is Americas role in the deployment of antipersonnel land mines, and our countrys refusal to sign off on a ban on cluster munitions agreed to by most of the worlds nations, that offers the most glaring analogy with the carnage of Boston. To this day, antipersonnel weaponsthe technologically refined version of the primitive pressure cooker fragmentation bombs exploded in Bostonmaim and kill farmers and their children in the Southeast Asian killing fields left over from our countrys past experiment in genocide. An experiment that as a sideshow to our obsession with replacing French colonialism in Vietnam involved dropping 277 million cluster bomblets on Laos between 1964 and 1973. The whole point of a cluster weapon is to target an area the size of several football fields with the same bits of maiming steel that did so much damage in Boston. The International Committee of the Red Cross, which has been active in attempting to clear land of remaining bomblets, estimates 10,000 Lao civilian casualties to date from such weapons. As many as twenty-seven million unexploded bomblets remain in the country, according to the committee. Back in 1964 at the start of that bombing campaign, I reported from Laos, an economically primitive land where a pencil was a prize gift to students. It is staggering to me that the death we visited upon a people, then largely ignorant of life in America, still should be ongoing. Israel is said to have dropped almost 1 million unexploded bomblets in Lebanon in the 2006 war against Hezbollah, which fired 113 cluster bombs filled with thousands of bomblets at targets in northern Israel. I list all those dreary statistics to drive home the point that the horror of two pressure cooker bombs in Boston that has so traumatized us should help us grasp the significance of the 1.8 million bomblets dropped in Iraq over a three-week period. Obama was right to blast the use of weapons that targeted civilians in Boston as inherent acts of terrorism, but by what standard do such weapons change their nature when they are deployed by governments against civilians? 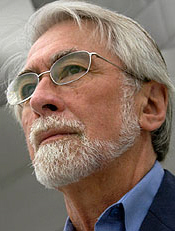 Robert Scheer, editor in chief of Truthdig, has built a reputation for strong social and political writing over his 30 years as a journalist. He was Vietnam correspondent, managing editor and editor in chief of Ramparts magazine between 1964 and 1969. This article was posted on Truthdig, April 23, 2013, and reprinted in PeaceMeal, May-June 2013. BEIJING  China has become the worlds fifth-largest arms exporter, its highest ranking since the Cold War, with Pakistan the main recipient. Chinas volume of weapons exports between 2008 and 2012 rose 162 percent compared to the previous five year period, with its share of the global arms trade rising from 2 percent to 5 percent, according to the Stockholm International Peace Research Institute (SIPRI). China replaces Britain in the top five arms-dealing countries between 2008 and 2012, a group dominated by the United States and Russia, which accounted for 30 percent and 26 percent, respectively, of weapons exports. Germany and France ranked third and fourth on the arms exporter list. Pakistan, which accounted for 55 percent of Chinese arms exports, is likely to remain the largest recipient of Chinese arms in the coming years due to large outstanding and planned orders for combat aircraft, submarines and frigates, SIPRI said. China followed only India in the purchase of arms. The country faces bans on Western military imports, dating back to anger over its crushing of pro-democracy protests in and around Tiananmen Square in 1989. That makes its domestic arms industry crucial in assembling a modern military force. Now the worlds second-largest economy, Chinas rise has come with a new sense of military assertiveness with a growing budget to develop modern warfare equipment including aircraft carriers and drones. Experts say some Chinese-made equipment is now comparable to Russian or Western counterparts, though accurate information about the performance of Chinese weapons is scarce. The United States continues to be the worlds largest merchant of death, overwhelmingly dominating arms sales to the developing world. Weapons sales by the U.S. tripled in 2011 to a record high, driven by major arms sales to Persian Gulf allies concerned about Irans regional ambitions, according to a new study for Congress. Overseas weapons sales by the United States totaled $66.3 billion last year, or more than three-quarters of the global arms market, valued at a total $85.3 billion. Russia was a distant second with $4.8 billion in sales. The U.S. weapons sales total was an extraordinary increase over the $21.4 billion in deals for 2010, the study found, and was the largest single-year sales total in the history of U.S. arms exports. The previous high was in fiscal year 2009, when weapons sales overseas totaled nearly $31 billion. A worldwide economic decline suppressed arms sales over recent years. But increasing tensions with Iran drove three Persian Gulf nations  Saudi Arabia, the United Arab Emirates and Oman  to purchase U.S. weapons at record levels. These Gulf states, which do not border Iran, focused their arms purchases on expensive warplanes and complex missile defense systems. The agreements with Saudi Arabia included the purchase of 84 advanced F-15 fighters, a variety of ammunition, missiles and logistics support, and upgrades of 70 of the F-15 fighters in the current Saudi fleet. Sales last year also included dozens of Apache and Black Hawk helicopters, all contributing to a total weapons deal from the United States of $33.4 billion, according to the study. The United Arab Emirates purchased a Terminal High Altitude Area Defense (THAAD)  an advanced antimissile shield that includes radars and is valued at $3.5 billion, as well as 16 Chinook helicopters for $939 million. Another significant weapons deal by the United States last year included a $2-billion agreement with Taiwan for Patriot antimissile batteries  an arms deal that outraged officials in Beijing. The report was prepared by the nonpartisan Congressional Research Service, a division of the Library of Congress. To compare weapons sales over various years, the study used figures adjusted for inflation to provide constant 2011 dollars. The annual study is considered the most detailed collection of unclassified arms sales data available to the public. The worlds real merchants of death  those who provide the weapons with which people kill people  are not the relatively small-time, illegal gunrunners, but respectable developed countries and international corporations. The worlds 10 biggest arms exporters in order are the United States, Russia, Germany, France, the United Kingdom, Spain, China, Israel, the Netherlands and Italy. The major U.S. corporations involved in the global arms trade are Lockheed Martin, Boeing, Northrop Grumman and General Dynamics. The arms trade is an enormously profitable enterprise for the companies involved, and any effort to curb that trade brings on an assault of lobbyists and political action committees. Lockheed Martin, the worlds largest arms producer, spent over $20 million to lobby Congress in 2009. Moreover, the U.S. arms manufacturers have carefully spread their operations to scores of states, so that when an effort is made to cutback or eliminate certain weapons, local members of Congress will rise to defend jobs in their district. The result of lobbying efforts by the arms companies is not only bloated military spending, but also expensive weapons systems that dont work or are simply unneeded. To have a real impact on curbing the global arms enterprise that enables todays bloody conflicts will require confronting powerful corporations, with their lobbies and their PACs, as well as the immense U.S. military establishment. GENEVA - A U.S.-led push to regulate, rather than ban, cluster munitions failed on Nov. 25 after 50 countries objected, following humanitarian campaigners claims that anything less than an outright ban would be an unprecedented reversal of human rights law. While the United States, China and Russia want rules about the manufacture and use of cluster bombs, activists say such regulations would legitimize the munitions, backtracking from the Oslo Convention, an international treaty that seeks a worldwide ban. Cluster bombs, dropped by air or fired by artillery, scatter hundreds of bomblets across a wide area and can kill and maim civilians long after conflicts end. Opponents want them banned because they are indiscriminate weapons, raining bomblets that may fail to explode on impact and lie dormant, ready to kill or injure anyone who picks them up or touches them by mistake. Those lining up against the U.S. plan included the International Committee of the Red Cross and the top U.N. officials for human rights, emergency relief and development. The U.N. agency chiefs said cluster bombs were a particular threat to children, who are attracted by their unusual, toy-like shapes and colors. They said they were extremely concerned at plans to do anything less than ban them. With our governments support, U.S. companies have provided military and crowd-control equipment that has propped up authoritarian governments throughout the Middle East. Hence, rather than seeing the U.S. as spreading freedom, Arabs who have taken to the streets have experienced Made in U.S.A. tear gas used by repressive governments to kill and maim unarmed protesters and crush popular movements for justice. For unarmed Arab protesters in Egypt, Bahrain, Yemen, Tunisia and the Israeli-occupied West Bank, Pennsylvania may seem to be the tear-gas capital of the world judging by the labels on the canisters fired at them. Combined Systems Inc. (CSI) is headquartered in Jamestown, Pa., NonLethal Technologies Inc.s home is in Homer City, Pa. The defunct Federal Laboratories was in Saltsburg, Pa. The recent wave of deaths and injuries from tear gas began in the West Bank. Jawaher Abu Rahmah died on Jan. 1 after she was overcome by tear gas the day before at a protest against Israels construction of its illegal wall and settlements on the farmland of the village of Bilin. CSI tear-gas canisters littered the village. Jawahers brother, Bassem Abu Rahmah, was killed in 2009 in Bilin when he was shot directly in the chest during a peaceful protest by an Israeli soldier with an extended-range CSI tear-gas canister. In Tunisia, Lucas Mebrouk Dolega, a 32-year-old photographer from France, died on Jan. 17 after being hit by a tear-gas grenade fired at close range by Tunisian police. On Feb. 6, a Tunisian protester was killed when he was shot in the head with a tear-gas canister. CSI is a major tear-gas provider for Tunisia. In Bahrain and Yemen, according to news reports, peaceful protesters have been shot at with tear gas from CSI, NonLethal Technologies and Federal Laboratories. The U.S. gives billions in military aid annually to these countries and the U.S. State Department approves the export and sale of tear gas to them by U.S. companies. The American-made tear gas is a symbol of U.S. policy in the Middle East that has supported repression and cheap oil at the expense of human rights. Patrick Connors is a member of Adalah-NY, a New York City- based group advocating for Palestinian rights and boycott of Israel. His article is edited from the Los Angeles Times, March 3, 2011 and was reprinted in PeaceMeal, March/April 2011.. The real merchants of death  those who provide the weapons with which people kill people  are not the relatively small-time, illegal gunrunners, but respectable developed countries and international corporations. The worlds 10 biggest arms exporters in order are the United States, Russia, Germany, France, the United Kingdom, Spain, China, Israel, the Netherlands and Italy. In 2009, the global arms trade was a $57.5-billion business, of which the U.S.s 39-percent share came to $22.6 billion.Most of the trade, $45.1 billion, focuses on developing nations. Of the top seven arms purchasers in 2008, four of them  India, Malaysia, Pakistan and Algeria  are countries that can ill afford to spend their meager resources on weaponry. Brazil, Venezuela, Egypt and Vietnam were also among the bigger arms buyers in 2009, and Iraq is planning to purchase $13 billion in U.S. weaponry. All are countries struggling with poverty. The United States overwhelmingly dominates arms sales to the developing world. In 2008, it cornered 68 percent of such sales and 45 percent in 2009. The major U.S. corporations involved in the global arms trade are Lockheed Martin, Boeing, Northrop Grumman and General Dynamics. The arms trade is an enormously profitable enterprise for the companies involved, and any effort to curb that trade brings on an assault of lobbyists and political action committees. Lockheed Martin, the worlds largest arms producer, spent over $20 million to lobby Congress in 2009. The U.S. arms manufacturers have carefully spread their operations to scores of states, so that when an effort is made to cutback or eliminate certain weapons, local congress members will rise to defend jobs in their district. When a move was made to cut the B-2 stealth bomber  a Cold War leftover that cost $2 billion apiece, its manufacturer, Northrop Grumman, mobilized 383 congressional districts in 46 states to successfully save the plane. The B-2 requires more than 100 hours of maintenance for each hour of flight. The result of lobbying efforts by the arms companies is not only continued spending, but also expensive weapons systems that dont work or are simply unneeded. One example is Lockheed Martins F-35 Joint Strike Fighter, which has been in development for nine years and has not yet entered service. The United States intends to buy a total 2,443 of the aircraft for an estimated $323 billion, making it the most expensive defense program ever. 2010 budget data of the U.S. Air Force and other sources project the F-35 to have a unit flyaway cost that ranges between $89 million and $200 million, depending on which of three variants. U.S. aircraft designer Pierre Sprey has called the F-35 heavy and sluggish.To have a real impact on the global arms enterprise will require confronting powerful corporations, with their lobbies and their PACs, as well as an immense military establishment. But according to Frida Berrigan of the Arms and Security Project of the New American Foundation, the Obama Administration is investigating how to make the selling of military technology even easier. A United Nations conference on drawing up a treaty to limit the global arms trade is set for 2012, although there have been no serious negotiations to date. Such a treaty will need to do more than get a handle on some of the more objectionable practices currently underway. It must restrict and then move toward an eventual ban on the trade itself. More than 2,000 people around the world are dying from armed violence each day, on average, according to groups supporting a treaty to regulate the international trade in small arms. A resolution setting out a timetable for talks during the next two years on such a proposed Arms Trade Treaty was adopted October 30, 2009, by the United Nations General Assembly, consisting of all 192 U.N. member governments. The vote on the resolution, which includes a U.N. conference to produce a final accord in 2012, was 153-1 with 19 abstentions. Zimbabwe cast the only vote against the resolution, while China, Russia, Iran, Syria, India, Pakistan and Cuba were among the nations that abstained. A report by the 12 advocacy groups, written by British-based Oxfam, said that since October 2006, an estimated 2.1 million people died as a direct or indirect result of armed violence -- most of them civilians. That equates to more than 2,000 per day, or more than one every minute. Of the deaths, more than 700,000 resulted from armed conflicts, including those in Afghanistan, Somalia, Sudan, Sri Lanka and the Democratic Republic of the Congo, the report said. The figures also include people killed in non-political violence involving firearms. The Obama administration voted to support the resolution, reversing the stance of the Bush administration in October 2008, when Zimbabwe and the United States were the only nations to oppose a previous resolution. The proposed international treaty would regulate the sale of small arms and light weapons, which can fuel instability, transnational organized crime and terrorism. The U.S. is the largest conventional arms trader in the world, responsible for 40 percent of the $55 billion-a-year trade. Supporters say the treaty would give worldwide coverage to close gaps in existing regional and national arms export control systems that allow weapons to pass onto the illicit market. Nations would remain in charge of their arms export control arrangements, but would legally be obliged to assess each export against criteria to be negotiated. Governments would have to authorize transfers in writing and in advance. The following case reveals some of the methods that gun runners now use to acquire and deliver small arms and light weapons: In 2001, an Israeli arms dealer operating out of Panama duped the Nicaraguan government into selling him 3000 AK-47s and 2.5 million rounds of ammunition. The broker said that he was procuring the weapons on behalf of the Panamanian National Police, a claim ostensibly substantiated by a Panamanian end-user certificate. It was a lie. The end-user certificate was a forgery and the Panamanians had no knowledge of the deal. On November 2, 2001, the weapons were loaded into a Panamanian-registered ship that departed the next day from the Nicaraguan port of El Bluff. Two days later, it arrived in Colombia, where the actual recipients -- members of Colombia's vicious paramilitary groups -- were waiting to claim their prize. The proposed Arms Trade Treaty is opposed by conservative U.S. think-tanks like the Heritage Foundation, which said that it would not restrict the access of "dictators and terrorists" to arms but would reduce the ability of democracies like Israel to defend their people. The National Rifle Association has also opposed the treaty. Even without such opposition, the treaty already may have received a death blow. The resolution passed says the conference in 2012 will be conducted "on the basis of consensus," in which every nation has an effective veto on agreements. That may prevent the achievement of a meaningful treaty. The vote on the Arms Trade Treaty resolution continues Obama administration moves to reverse the policies of President George W. Bush. Those actions have included joining the Geneva-based U.N. Human Rights Council and backing a General Assembly declaration urging the decriminalization of homosexuality. When representatives of 111 nations agreed May 28 on a new international treaty to ban the production, use, stockpiling and export of all existing cluster bombs, the United States was absent. The U.S. government did not attend the negotiations in Dublin, Ireland, and actively worked to undermine them. Russia, China, Israel, India and Pakistan, all leading cluster bomb makers like the United States, also boycotted the May talks. But in the end, all other major NATO countries joined with the majority in committing their governments to stop using these weapons and to destroy their existing stockpiles within eight years. In a major diplomatic defeat for the United States, Britain broke ranks and joined the other 110 nations. Though many U.S. and British military officials consider cluster bombs valuable weapons, British Prime Minister Gordon Brown overruled elements of his own military and threw his support behind the ban. The new Convention on Cluster Munitions, which international leaders expect to sign in December, also requires governments to clear existing cluster munition minefields and to provide adequate assistance to individuals and communities affected by cluster munitions. A cluster bomb is a large bomb that is dropped from high altitude, descends toward the earth, and explodes at low altitude dispersing hundreds of tiny bomblets. The bomblets descend further and explode when they detect proximity to the earth, shooting tiny pellets of steel in every direction. When the pellets strike people, they tear them apart. Cluster bombs are designed to kill or maim every living thing in an area as large as two or three football fields. The vast majority of victims of cluster bombs have been civilians rather than combatants. Moreover, some bomblets fail to explode, resulting in a widely dispersed minefield that threatens civilians for years after the fighting stops. In Vietnam, people are still being killed as a result of cluster bombs and other ordnance left from the war there. The brightly colored, butterfly shaped bomblets are especially attractive to children, who think they are a toy. According to a June report by the Congressional Research Service, the U.S. dropped more than 1,200 cluster bombs  containing nearly 250,000 submunitions  in Afghanistan from 2001-2002. And U.S. and British forces used about 13,000 of the bombs  with more than 1.8 million bomblets  during the first three weeks of the shock and awe invasion of Iraq. The new policy represents a real step backward. Since 2005 it has been Pentagon policy to only buy new cluster bombs with a dud rate of less than 1 percent. A bill was introduced in the U.S. Senate last year to limit the use, sale, and transfer of cluster munitions. The Cluster Munitions Civilian Protection Act of 2007 (S 594) was referred to the Committee on Foreign Relations and no action has been taken on it since. Please urge your senators to sign on as co-sponsors. Roadside bombings of American troops in Iraq were occurring with unnerving regularity when military investigators made a disturbing discovery: American-made computer circuits sold to a trading company in the United Arab Emirates had turned up in the bomb detonators. American officials have been increasingly alarmed about trade in the U.A.E. since 2002, when Commerce Department spot checks of factories and freight forwarders made it clear that dual-use American products subject to export controls, including computer equipment, aircraft parts and specialized metals that have a potential military use, were being diverted on a wide scale to Iran, Syria and Pakistan. Although the U.A.E. government has taken some superficial action, executives at several of the companies suspected of violating American export controls said they had faced no increased scrutiny.